A kaleidoscope of colour, a cacophony of noise, a melting pot full of religions, cultures and some potent spices. Punjab is a state like no other. The area known as ‘The Punjab’ was divided between India and Pakistan during Partition, since then it has come on leaps and bounds benefitting from a successful agricultural industry and that famous Sikh hospitality. The Hotel Guru's selection of the best places to stay in Punjab is wide ranging: from value to luxury there are plenty of great options for all tastes and budgets. From Amritsar in the northwest, all but bordering Pakistan, and its unmissable Golden Temple, to the modern day metropolis and business hub of Chandigarh to the south or the best-kept secret of Patiala, there is plenty to do in this diverse state. Punjabis are mad about their food: whether it's chicken tikka you’re after or a vat of tadka dal there are a number of gastronomic institutions in Punjab. If variety truly is the spice of life then Punjab would be a chole bhature with a side order of garam masala. A visit to Amritsar is not complete without a trip the Golden Temple or The Harmandir Sahib, “The Abode of God”. This holy edifice is mirrored by the waters of the Sarovar, the lake surrounding it. Resplendent in the afternoon sunshine it appears to float on its absolving waters. Make sure to enter the Langar Hall, where thousands of pilgrims are fed daily from plunge pool sized cauldrons of lentils. Look on as servers climb in with the help of a ladder, armed with what looks like the world’s largest ladle. From Amritsar, get a taxi to the Pakistan border and watch the daily Wagah Border Ceremony, quite the display of ceremony and pomp between the Indian and Pakistan Armies. A symbol of the enduring unity and defiance between the two countries. Hidden within the narrow alleyways of Amritsar’s old city you’ll have worked up quite the appetite by the time you stumble across Kesar Da Dhaba. We recommend their gargantuan thalis and the best lassi in town. India’s most modern and pedestrian friendly city, Chandigarh is unlike any other you'll visit in India. Designed by Swiss architect Le Corbusier it was intended as a people-centric city. 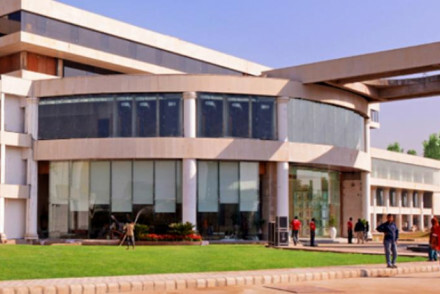 Today Chandigarh is a business hub and awash with five star hotels and restaurants. Stop in at Indian Coffee House, almost as old as the city itself, for a pot of freshly brewed beans. Patiala, one of Punjab’s greatest secrets is a fascinating place to visit. Once the playground of a family of extravagant maharajas, today its palaces and 18th century fort, Qila Mubarak lie in a state of ill repair. Home to the infamous ‘Patiala Peg, a 120ml serving of liquor, it is a great stay even if just to sample some of that famous Punjabi cuisine (and whiskey)! Lying on the plains of the Sindh, Punjab enjoys pleasant winters and endures a punishing summer. Visit between October and March for the best weather. Visit in the months of January and February and catch the famous Basant kite festival. Our selection of the best places to stay in Punjab should satisfy most tastes, whether you're looking for a budget hotel or an authentic Indian experience. A hotel chain upholding vigilant green principles The Fern Residency provides a modern stay without costing the earth. Centrally located in Chandigarh it is great value and a great location. Organic, health conscious food plus yoga and meditation, Ranjit's Svaasa Hotel is a haven in Amritsar for those wanting a revitalising stay. A heritage property, rooms are filled with antiques and the staff do everything in their power to make their guests' stay as comfortable as possible. An immersive experience. 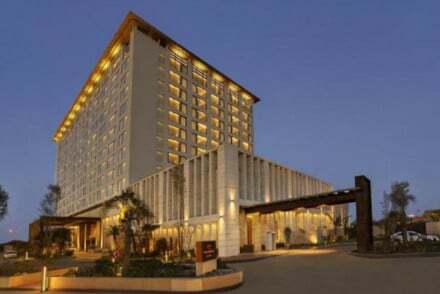 A world-renowned name such as the Hyatt Amritsar, providing stylish accommodation for under £70 a night? Unimaginable, surely! Rooms are modern, whilst decorated with local colour and accents. There are fine dining options and a traditional spa menu. 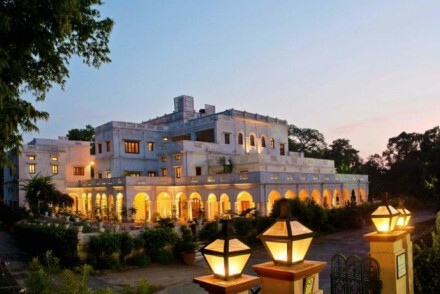 The 19th century abode, Neemrana's The Baradari Palace evokes Patiala’s rich culture and hospitality. Capacious rooms with four posters feature living areas and antique furnishings. Food is quintessential Punjabi: feast your eyes and your appetite. Chandigarh boats five star hotels aplenty and our favourite would have to include Hotel Taj Chandigarh and The Lalit Chandigarh. 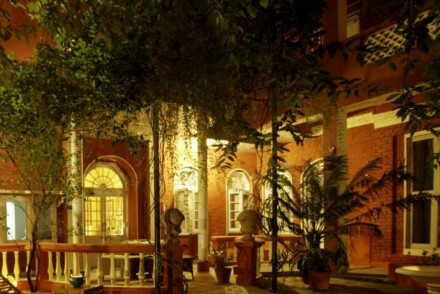 whilst The Lalit boasts avant-garde designs and palatial rooms. Both stunning stays. Still not sure which to book? From eco to wellness browse though our list of the best places to stay in Punjab to start to plan your trip. Or contact one of our friendly gurus for advice. 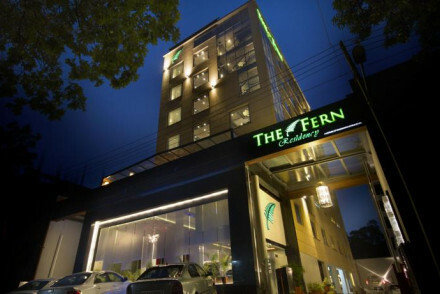 A hotel chain with a conscience The Fern upholds strong eco and social responsibilities. 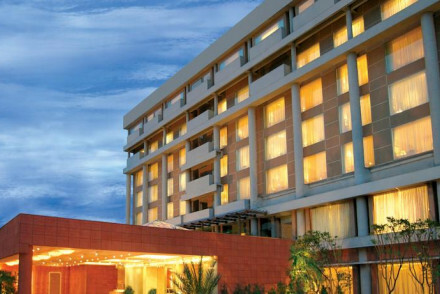 Located in the heart of Chandigarh this modern hotel provides a comfortable stay. Rooms are decorated in dark woods, accent colours and contemporary art. There is a bar and restaurant serving regional dishes. Great walks - Through Zakir Hussain's 30 acres of fragrant Rose Gardens. Sights nearby - Sukhna Lake is a pleasant location to spend an afternoon. Channelling an 'Exotic Marigold Hotel' spirit this heritage haveli is more than just a place to rest your head en-route to the Golden Temple. Food is healthy and organic plus there are yoga and meditation classes. Rooms are crammed full of antiques with vast four posters, Indian silks and art. Sights nearby - A visit to one of India's most famous landmarks, the Golden Temple, is just a short drive away. Local markets - Tahali Sahib Bazaar is a favourite amongst locals for sparkling sarees and shining silks. Reliable luxury courtesy of The Hyatt. A fusion of modern architecture and traditional Indian design and colours. Rooms are awash with polished woods, rich oranges and reds with state of the art bathrooms. Traditional spa treatments are available and there is gourmet South and East Asian dining. Set amidst the palace's verdant gardens this property has enormous, high-ceilinged rooms, decorated in bright colours and antique furnishings. There is a smart dining hall in which delicious Punjabi cuisine is served. Ideally located for exploring the town. Cooking classes - Preet's cooking classes are for those who want to take home those rich Punjabi flavours. Local markets - Leela Bhawan Market is full of shoes, fabric and jewellery. Sights nearby - Sheesh Mahal and Moti Bagh Palace are within easy reach. Great walks - Walk around the Qila Mubarak and its verdant gardens. 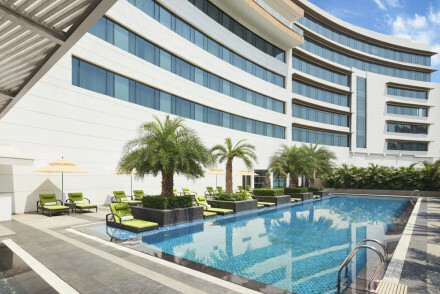 Providing the stellar service that one would expect from a Taj property, although foremost a business hotel Taj Chandigarh possesses character making it popular amongst tourists too. A rooftop pool and spa plus chic dining options certainly help. Rooms have earthy palettes and large bathrooms. Great walks - Through the very photogenic Nek Chand Rock Garden. Decorated in that traditional Lalit avant-garde style rooms are expansive and awash in solid woods and deep colours whilst bathrooms feature cavernous egg shaped baths. With state of the art spa, gym and salon as well as sunny outdoor pool and top class business facilities you'll want for nothing. Local markets - Rainak Bazaar is awash with treasure and trinkets: clothes, jewellery and street food. Great walks - Perambulate the fragrant Zakir Hussain Rose Garden. A magnificent addition to the Taj family, right in the heart of Amritsar. The interiors are spectacular, with neutral tones and understated glamour set off by the occasional touch of local artisan fabric or glistening chandeliers. The food is exceptional, as indeed is the spa. A suave choice.